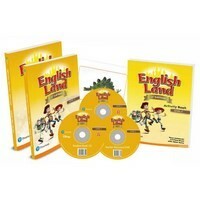 English Language Booster and English Land(2/E) Series Special Teacher's Pack will be offered at a 26-31% discount for a Limited Time. The special discount is available until Friday, May 31st, 2019. Shipping and delivery will take longer than usual. Pearson, the publisher of English Language Booster, will host an online 'webinar' (a live online seminar) that you can watch from your PC, on May 11th, 2019. Don't miss this great opportunity to learn more about this product - register in advance using the link below. A limited pack available until the end of May at 28% discount, which includes all the resources you need at your class; Student Book with CDs, Activity Book, Teacher’s Book with DVD-ROM (DVD-ROM includes video clips from Disney/Pixar, photocopiable resources, Tests, DVD Worksheets, etc. ), and Flashcards. ※Please note that the content of Flashcards included in the Level 1 set and Level 2 set is same. ※Please note that the content of Flashcards included in the Level 3 set and Level 4 set is same. 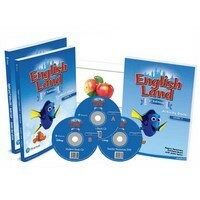 A limited pack available until the end of May at 31% discount, which includes all the resources you need at your class; Student Book with CDs, Activity Book, Teacher’s Book with DVD-ROM (DVD-ROM includes video clips from Disney/Pixar, photocopiable resources, Tests, DVD Worksheets, etc. ), and Flashcards.